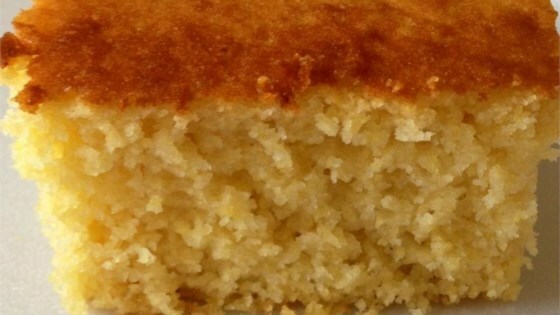 "A sweet cornbread that will crumble in your hand and melt in your mouth." Really great flavor, but my family thought it was too crumbly. Delicious! The honey in the cornbread adds a wonderful flavor! This is probably the best cornbread I've ever had!! This was the best ever. I had been looking for a sweet corn bread recipe and this was it. After the first bite I looked at my husband and told him that we had found the recipe we will always use. Since I didn't have heavy cream I just used milk and I added extra honey. It turned out great. Very sweet. I enjoyed eating it soaked in milk. This was a fabulous recipe! I used white, rising cornmeal and baked it in a cast iron pan. It wasn't too crumbly or too sweet. It was just right!